Our exhibition will open up two different worlds for you. The integrated children’s museum offers numerous possibilities for families to enjoy their visit to the museum. 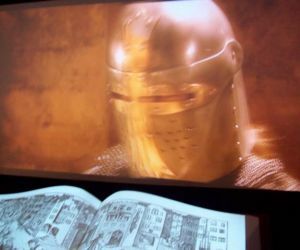 Let our one-of-a-kind multi-media presentation take you on a journey through time straight into the history of the Castle. 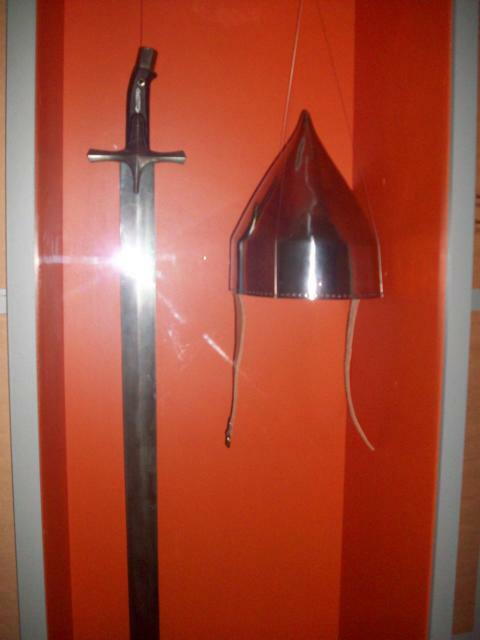 Join Wulfing von Stubenberg on his adventures through life in the Middle Ages, on his troublesome journey to the Orient at the time of the crusades. Find yourself in the middle of the Siege of Damietta fighting alongside Wulfing and his crusaders, all on the big screen. 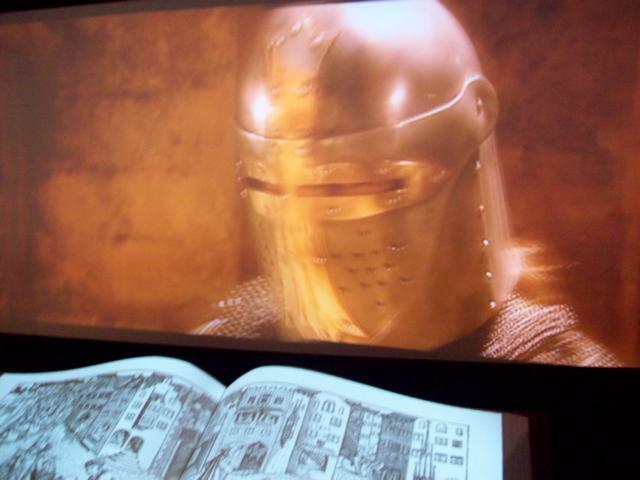 Page through a giant virtual book to learn more about the crusades. 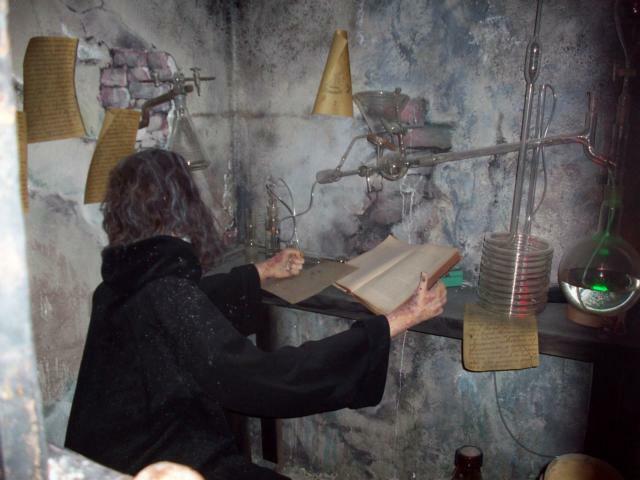 In 2005 in a hidden passageway near the Loreto Chapel, the only intact alchemist’s furnace in all of Europe was found. Marvel at the treasures that were found near the furnace. The Alchemists of Kapfenberg had at least attempted to produce silver in this smelting furnace during the 16th century. Enter the mysterious world of alchemy and discover the secrets of the goldmakers. Let all of your senses come alive at the wall of riddles: sight, smell, touch and sound. 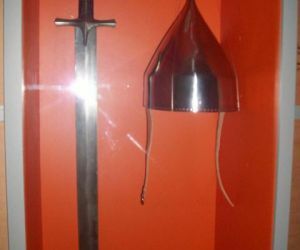 All of our visitors, the young and the young at heart, can get the feel of a suit of armor and find out how heavy it weighs on their shoulders. 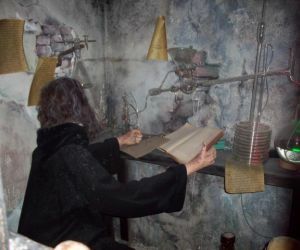 In the mystical alchemists’ cave you will meet the Castle’s own alchemist and try to charm him out of the secret to making gold. Find "The Philosophers' Stone" and take a pinch of the miraculous powder back home with you.